With a new year comes new changes and we’re changing our review process beginning with this Huawei Mate 8 review. Now, selected handsets will be reviewed by not one, but two people, with the aim of bringing you two different views on that smartphone. The post and video will be by different reviewers, providing a coherent yet objective opinion on the smartphone. This review has been written by Nirave Gondhia with the video review (above) by Joshua Vergara. Be sure to check out YouTube as well, where you can watch the video in 4K! The rise of Chinese manufacturers over the past two years made it inevitable that Google would eventually choose one of them to make its flagship handset and last year saw Huawei team up with the search giant on the Nexus 6P flagship. Sporting an all-metal design, pure Android experience and lightning fast fingerprint sensor – not to mention the best smartphone camera of 2015 – the Nexus 6P has, rightly, been a success. Like LG and Samsung before it, many expected the success of the Nexus flagship to influence Huawei’s own flagship devices that followed and at CES 2016, the Mate 8 – which was launched in China last month – was finally given its global debut. Prior to CES, there had been many rumours that Huawei would use the Nexus 6P as a springboard for a push into the US market and while the honor 5X is launching stateside, the Mate 8 is nowhere to be seen. Huawei has always made good hardware and the Mate 8 looks to be no different but has the Chinese company learnt anything from working closely with Google and in particular, is its UX any closer to stock Android? How does the Mate 8 compare to past Huawei flagships? Let’s take a look: hit the jump and join me for the written Mate 8 review and be sure to check out Josh’s video review above. Looking at Huawei’s list of past flagships such as the Mate S, Mate 7 and P8, there’s one thing that’s clear: Coupled with the Nexus 6P, it’s clear Huawei understands exactly what premium hardware is and while the Mate 8 does have a few tweaks, the design language hasn’t changed all that much since the Mate 7. That being said, Huawei has one of the strongest design languages in the industry and while a lack of significant change runs the risk of it becoming stale, the company isn’t there just yet. Although the Mate 8 design is more than acceptable, we would like to see the company show us the next stage of its design language in future flagship devices. The metal finish is most definitely premium in the hand and the precise curves and gradient of the rear provide the handset with its ergonomic feel. The Mate 8 is a large device like every Mate smartphone – the Mate S aside – before it but it is probably the smallest 6-inch smartphone on the market, thanks to impressively small bezels around the display. Huawei is known for its ability to deliver large displays crammed inside a smaller-than-expected body and the Mate 8 is no different. At 7.9mm thick, the Mate 8 is not the slimmest smartphone on the market but the symmetrical design and slightly curved rear mean it feels much slimmer in the hand. The in-hand experience is further enhanced by the 185-gram weight and the Mate 8 does feel reassuringly solid in daily usage. The backside of the phone is where Huawei’s design language used to stand out from the competition; dating back as far as 2013 and the Mate 7, Huawei has dabbled in metal on its flagship devices and at the time, the company (alongside HTC) was leading the pack. However, since then, metal has become the new plastic and almost all companies are now attempting to incorporate metal in their flagships. While Huawei is no longer unique in this, its design language isn’t stale just yet but as mentioned, we’d like to see a few changes to differentiate its future flagships. Where Josh and I definitely agree is which colour Mate 8 to get; Josh has the Silver version while I have the space gray but both of us agree that the Mocca brown Mate 8 is the version you should try to get. Neither the Silver nor the Space Gray are bad colour choices but the Mocca colour is quite unique and this helps it to stand out from the myriad of other metal-clad smartphones on the market. Beneath the camera on the rear, we have a feature that Huawei has become superb in delivering: the fingerprint sensor. From the square sensor in the Mate 7 to the gesture-enabled Honor 7, the ultra fast sensor on the back of the Nexus 6P and now, the scanner in the Mate 8, it’s clear that Huawei understands fingerprint scanners and the Mate 8 is no different. While it doesn’t have all the gestures found in the Honor 7 and Mate S, its definitely up there with the best fingerprint sensors on the market. Overall, the Mate 8 continues Huawei’s impressive design language and the design is definitely one of our favourite elements on the phone. It may have a 6-inch display but Huawei’s innovative design means the phone feels much smaller than you’d think. In January last year, we sat down with Huawei’s executives in China and during the course of several discussions, one topic that kept creeping up was display resolution and whether Huawei would eventually offer QHD resolution (and above) on its flagship devices. At the time, the answer was a resounding no but fast forward to the latter part of the year and the Huawei-made Nexus 6P became the first Huawei-made smartphone to offer QHD resolution. Less than two months later, Huawei unveiled the Mate 8 and, despite all the rumours and leaks suggesting a QHD display was in the works, Huawei chose to stick with its guns and opted for Full HD resolution. Normally this wouldn’t be an issue but the Mate 8 was meant to arrive with great aplomb onto the market and a 6-inch Full HD panel really does – at least on paper – stretch the boundaries of whether the display is good enough. In actual usage, the JDI-NEO display technology certainly helps to pick up some of the shortfall from not having QHD resolution and while the Mate 8 sports what is probably the best 6-inch 1080p screen on the market, it is just Full HD resolution. For the spec-lovers amongst you, this translates to a density of 368 pixels per inch, which is lower than the Galaxy Note 5 and most other similarly sized devices. I personally find that while FHD resolution is more than satisfactory, I would have preferred QHD, especially given the price of the Mate 8 and its status as a premium flagship. While Josh agrees with this, he does point out that FHD means everything is a little easier to see than with QHD resolution and the Mate 8 is perfect for those who want a bigger screen for easier reading, rather than to have more space to display content. What about in direct light? Huawei hasn’t always been the best smartphone to use in direct sunlight but the Mate 8 is definitely one of the company’s better attempts. In direct sunlight (or even incandescent or tungsten lighting), it’s easy enough to see what’s on the display as long as the brightness is set to full and auto brightness is turned off. Overall, Full HD may not provide a great experience on paper but the Mate 8 screen is certainly more than satisfactory in real world usage and if you’re someone who prefers a bigger screen so you can see things more clearly, this is definitely the smartphone for you. However, if you’re a tech aficionado, you may find that you miss QHD resolution after using the Mate 8 for any substantial period of time but the battery life savings of opting for FHD more than make up for any shortcomings in the screen department. The most contentious part of Huawei smartphones is – and has been for many generations – the company’s EMUI interface which polarises most users. While some find it easy to adjust to, others certainly do not and this is where the company has often been lambasted in previous reviews. Having worked with Google on stock Android for the Nexus 6P, there was hope that we’d finally see Huawei opt for a more westernised interface as part of EMUI 4 but has the company done so or are they still trying to force a Chinese-inspired interface on a Western market? Furthermore, are some of the bugs from Lollipop finally fixed in their first Marshmallow device and can EMUI help Huawei compete against other OEMs in Western markets? Let’s find out. Prior to Lollipop, Huawei’s EMUI was clean, simple and relatively easy-to-use but the introduction of Material Design in Lollipop resulted in the company trying to revamp its interface to match Google’s new design guidelines. Unfortunately, it mostly failed in this attempt but with EMUI 4.0 bringing Marshmallow to Huawei devices, are we finally given an interface that hasn’t been designed with China in mind? In short, the answer is: no. This is one of the biggest problems with the Mate 8 and one that I personally find is quite difficult to overcome. For as good as the hardware is, the software is really poor and it almost feels like Huawei has taken a step back in this department over the past year. From the first build of EMUI 3 last year, bugs such as the notification bar being difficult to read thanks to odd colour choices have existed and while we’ve seen the company mostly fix these in the EMUI v3.1 found running on the new Honor 5X, the Mate 8 still has glaring bugs in the software. One of the most polarising elements of EMUI is the lack of an app-drawer and while Huawei has certainly made the home screen management more than satisfactory, not having an app drawer is likely to detract from the experience for many Western users. In fact, like previous Huawei smartphones, installing a launcher is probably one of the first things you’ll find yourself doing. Unfortunately, even when you do install a new launcher, the notification menu text bug still persists, so if you use Gmail especially, you can expect to be opening the app or relying on a widget more than you do on other devices. Look past these glaring issues and the story isn’t much better; Huawei has taken the approach of many other OEMs and sought to add features using its own interface but has failed in its implementation. Some of the new features that Huawei has sought to include are an improved knuckle sense experience – including the draw a letter to launch an app feature that was present on the Mate S – being able to locate your phone through voice control and launching two windows at the same time. The knuckle sense feature was first launched early last year and at the time, we said it required a lot of work to be truly useful. Several months later, it still needs a lot of work and while it somewhat worked on the Mate S, I’ve personally been unable to successfully take a screenshot or launch an app at least once. For Josh, it has worked a few times but we both agree that it’s a feature that Huawei might as well remove as, in theory, it’s meant to make things quicker to launch but you almost have to punch your phone in order to make the feature work. Voice control is another area that Huawei has been dabbling in over the past year and again, the company has a lot of work to do in this area but at least it is usable. It’s not all negative as a couple of features in EMUI are quite useful; especially for reviewers and people who have to show others how to do something on a phone, built-in support for screen recording – which is activated by double tapping the display using your knuckle – is great and works really well. EMUI also provides a lot of control over the experience and lets you customise many features and while this is great to have, the sheer amount of controls in the general UI actually makes it very difficult to use overall. While a lot of thought has gone into the performance and design, the software seems to have been rushed out the door and both Josh and I are disappointed that working with Google on the 6P hasn’t delivered a more refined user experience. With a lot of patience and time, you can make EMUI work exactly how you want it to but the problem for Huawei is that most people will give up on EMUI long before then. Huawei isn’t known for including exceptional cameras in its smartphones but over the past year, we’ve definitely seen them improve considerably in this department. From the new features launched in the P8 to the excellent Honor 7 camera and then the Nexus 6P – which had the best smartphone camera of 2015 – there was a lot of hope that the Mate 8 could prove to be Huawei’s best yet. Equipped with a new Sony sensor, does the Mate 8 deliver in the camera department? In a word: hardly. The specs list reads that the Mate 8 offers a 16MP camera with f/2.0 aperture for better low light images, Optical Image Stabilisation for less noisy photos and 0.1 second phase detection autofocus and these features mostly live up to their hardware billing. The problem for Huawei however is that its camera processing fails to make the most of this hardware and even the presence of OIS doesn’t seem to prevent some blur in photos captured. While the Mate 8 does struggle with abject camera processing, Huawei deserves credit for some of the features they’ve added. Among the many camera modes is the ability to capture super night photos (which takes awesome low light photos), light painting (which is an excellent mode to capture light trails from cars or to help you be really creative in low light) and Professional mode, which offers a plethora of options for the budding photographer. While Auto mode results in less-than-impressive photos, the sheer volume of controls in Professional mode, coupled with the way changes are reflected in the viewfinder before you press capture, means you can take some really nice photos if you’re willing to spend time to do so. I personally think you should use Professional mode at all times on the Mate 8 and while Josh agrees that it’s a great mode, he does raise the valid point that most people won’t bother. This means that in auto mode, the Mate 8 camera does absolutely nothing to impress you. As good as the options that Huawei has included are, there are some that are most definitely disappointing. For example, turning HDR mode on results in almost no improvements to the picture (as you can see above) and this is not acceptable on any smartphone, let alone one that carries such a large price tag. Despite being powered by Huawei’s own latest processor, there is still no support for 4K video recording. Yes, the Mate 8 does let you capture Full HD video at 60 frames per second, which is not something that’s common on smartphones, but the lack of 4K recording on an ultra premium flagship in 2016 in inexcusable. Here’s some images we’ve captured on the Mate 8 – do let us know what you think of the Mate 8 camera in the comments below. There’s no covering up the fact that while the Mate 8 camera does have some great hardware, it is seriously lacking in the camera department with Josh and I both agreeing the camera is mediocre at best. Like the software, the camera on the Mate 8 really detracts away from the overall smartphone experience and sadly, it is bad enough that it may forfend you even buying the Mate 8. One of the reasons the Mate 8 is long-awaited is the chipset under the hood, with Huawei finally bringing its long-awaited Kirin 950 SoC to the market. Arguably the key challenger to the 2016 chipsets from Qualcomm and Samsung – the Snapdragon 820 and Exynos 8890 respectively – the Kirin 950 is expected to set the benchmark for performance this year and from our testing, it definitely delivers on this. As we covered during our podcasts at CES, this is one very powerful smartphone and we’re yet to find a way to actually slow it down. Although the Mate 8 versions we have come with just 3GB RAM (with around 1.3GB free when nothing is running in the background), the Kirin 950 makes it seem like there are several gigabytes of RAM available to use and definitely sets the benchmark for what flagship performance should be like this year. When switching between apps, loading new apps or even running games, the Mate 8 shows zero sign of lag and if you’re after a non-stock handset that has the performance of a stock Android smartphone, the Mate 8 definitely ticks this box. The Mali-T880 GPU finally delivers an experience that seems to be on par with the Adreno GPU used in other processors (although this will only truly become apparent once handsets using these other 2016 processors are launched in the coming months) and solves a big problem with previous Huawei devices, which was the graphics performance. If smartphones were about raw performance, the Mate 8 would certainly lead the current crop but as we know it’s about more than just performance, so what about the rest of the hardware? Other notable features include dual SIM support by default in every variant – which instantly gives the Mate 8 an advantage over other flagships that have separate variants with Dual SIM support – a microSD card slot (which takes up the second SIM slot) and an NFC chipset. All of these work as well as you’d expect and just like previous Huawei smartphones, the presence of metal has no impact on network reliability with Huawei’s extensive experience in antennae heralding great signal and network performance in its latest flagship smartphone. One area that is a let down is the bottom-mounted speaker which is average at best and while it is louder than previous Huawei smartphones with body to the sound, it is definitely lacking overall compared to other flagship devices and even the Nexus 6P. Overall, the hardware on the Mate 8 is almost close to perfect, as is the performance, and aside from a few issues with the speaker, there’s very little that Huawei could have done to make it better. Without doubt, this is one of the main reasons you should buy the Mate 8 and this is reflected in our ratings, with the Mate 8 coming ever so close to scoring a perfect 10 in this section. If there’s one feature that made Huawei’s Mate range stand out from the rest, it was the battery, with the Mate 7 proving to be a battery behemoth that very few – if any – smartphones came close to. The Nexus 6P continued this trend and Doze Mode in Marshmallow proved to be the welcome fix that Android needed for better standby time but does the Mate 8 continue in this vein? Under the enclosed metal-body is a 4000mAh non-removable battery that supports fast charging and the capacity is one of the highest on the market. The Mate 7 had a 4100mAh battery (in body that was similarly sized) while the Nexus 6P is powered by a 3450mAh unit and at least on paper, the Mate 8 should lead the battery stakes yet again. As we’ve found in the past however, a big battery doesn’t necessarily mean great battery life, so is the Mate 8 the battery behemoth you need in your pocket? In a word: YES. The large capacity coupled with Huawei’s own optimisations in its chipset all combine to deliver exceptional battery life and overall battery life depends on which of Huawei’s included modes you use. For example: if you use the Smart mode (which is typical day-to-day usage), you can expect to get 2 days’ worth of overall battery life with around 7 hours’ Screen-on-Time (SoT) while if you want brute power, the Performance mode should let you use the full package and still get a full days’ usage with around 4.5 hours SoT. For the times when you are running low, Huawei claims you can charge the Mate 8 for half an hour to get a full days’ usage and in our testing, rapid charging seems to add around 35% in half an hour (it increased from 15% to 50%). However, while the presence of rapid charging is certainly welcome, the Mate 8 doesn’t support Quick Charge 2.0 so you’ll need to use the included charger in the box to get the faster charging speeds. On the topic of charging, the Mate 8 also doesn’t support wireless charging which is certainly not a deal breaker but something to keep in mind if this is important to you. The Nexus 6P and the Mate 7 before it are both excellent for battery life and with its new flagship, Huawei seems to have continued this trend. When we spoke to Huawei last January, we were told the company was avoiding higher-than-FHD resolution as it didn’t want to impact on the battery life and while we would have liked to have seen QHD resolution on the Mate 8, there’s no doubt it would have impacted on the battery life. As it stands, the Mate 8 is setting the benchmark for the battery life you can expect from a 2016 flagship and it remains to be seen whether its competitors can actually compete against this. There you have it – Huawei’s latest flagship ticks a lot of the right boxes but some of its gremlins from the past still remain; we’ve always known that Huawei’s hardware is fantastic but the most surprising thing about the Mate 8 has to be just how poorly optimised the software actually is. Yes, it’s more than satisfactory if you’re willing to adjust to it, but with so many flagship devices to choose from, EMUI v4.0 may prove to be a step too far for many users. The performance and battery - while being fantastic - are not enough to detract away from the poor software and camera experience. Previous Nexus manufacturers have used their partnership with Google as a springboard onto bigger and greater success, look no further than LG, who have made several Nexus devices in the past and gained much greater recognition for it, but for Huawei, the Mate 8 isn’t the smartphone to do this. However, as the development process for a smartphone can take several months, we’re willing to give Huawei the benefit of the doubt and wait until the next flagship to see the real benefits of working with Google. So should you buy the Mate 8? Honestly, I would find it difficult to recommend the Mate 8 as the performance and battery – while being fantastic – are not enough to detract away from the poor software and camera experience. That being said, it is still one of the nicest smartphones on the market and feels absolutely great in the hand. The performance and power (battery) of the Mate 8 just barely cover up the flaws of a device we still love. Yes, the Huawei Mate 8 is an excellent smartphone and, for the most part, it does rank well amongst the current crop of flagship devices but the few flaws it has are major and while in previous devices Huawei could get away with some of these, we’d have expected a better camera and software experience from its latest flagship. With all that being said, if you’re willing to customise the interface and don’t mind the camera, the Mate 8 is definitely worth a closer look. 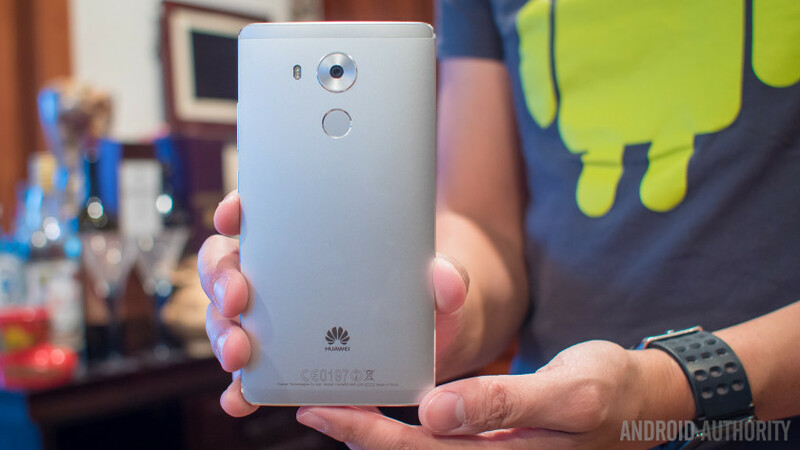 What do you think of the Huawei Mate 8 and do you plan to buy one? Let us know your thoughts in the comments below and don’t forget to check out all of our Mate 8 coverage.